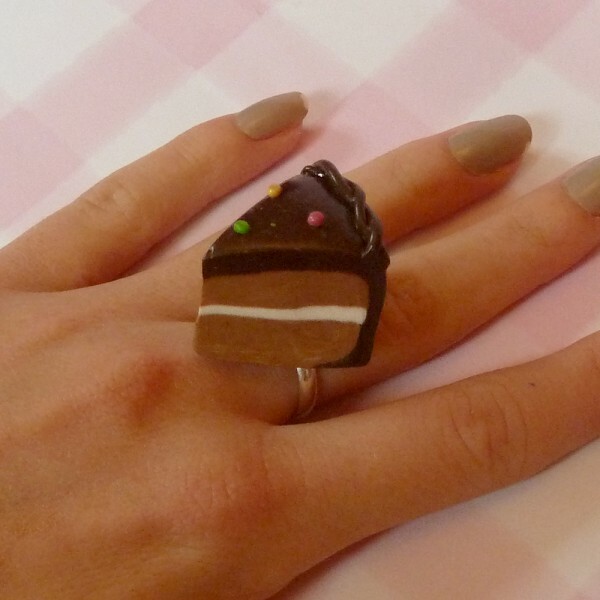 This super adorable cake rings are individually hand crafted, and come on and adjustable silver plated ring. Please mention at the checkout if you child’s or adult’s size. Please let me know if you would prefer the ring to be slightly different to this classic style, as they are made by hand, I can make many types of little changes! Size: Child’s or Adult’s adjustable size. Matching Items are available - Necklaces, Bracelets and More!